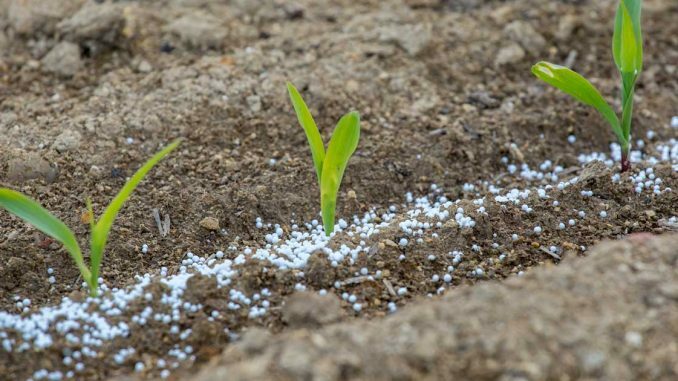 Fertilizers are believed to be the backbone when it comes to the involvement of chemical industry in the agriculture activities of India. Post Neem coating of Urea, black marketing has been put to a halt and steps taken to make its reach to the farmers more efficient, but still remains a plenty to do in this segment. Yara International is a Norwegian fertiliser conglomerate, which had started its India operations in 2011. They are the one who is planning to take over Tata chemicals Babrala urea plant and its distribution on a debt and cash free basis for a staggering USD 400 million. BW Businessworld in an exclusive interview speaks with Sanjiv Kanwar, Sr. VP, Yara Fertilisers India Pvt Ltd, on a range of issues related to the industry. How has been the experience in Indian fertiliser market, especially with competition from government-owned fertilizer groups? Yara India was established in 2011 in the agriculturally rich state of Maharashtra. Yara has been primarily focussed on the horticulture sector. We work closely with the farmers and combine our global and local knowledge, our unique and differentiated products with our application competence to help the growers to improve their yield as well as quality through our global practices in crop management. As of now, Yara is not working in the commodity fertilizer business which is primarily subsidised. The Indian farmer is extremely open to new technology, new products and is willing to experiment with new products. He is a businessman – if he sees a return from implementing new concepts, then he will certainly do so. More and more young educated people are turning to farming and continuing their family business since there is a potential to make get good returns from farming by adopting new methods and technology. Your experience of buying a TATA owned plant? Yara has entered into an agreement to acquire the Tata Chemicals Ltd (“TCL”) Babrala urea plant and distribution business in Uttar Pradesh for USD $400 million on a debt and cash free basis, including normalized net working capital. This is an ongoing business and will give Yara access to 650-700 strong dealer network, India’s grain belt of 31 million hectares (Ha) as well as Horticulture acreages of over four million Ha. The deal is now at its final stage and should see a conclusion shortly. How long will it take to shape up the domestic farmers for agro-chemical knowledge? How much to use and when to use? At Yara, our whole approach and concept is farmer-centric. We segment the market and choose the crops where we intervene with our knowledge and economically viable crop programs to make a positive impact which are then followed by a series of farmer contact programs. In 2016 alone, we almost did 3000 farmer meetings in the crop segments that we operate in. The farmers are extremely receptive to listening to our experiences in other global markets with the same crops and also want to implement the same programs after adjusting to the local conditions. We initiate large-scale demonstrations on the ground with the farmers to prove the value of our offering, year after year. Since we maintain regular follow-ups, over a period of time, farmers begin to see value in improved nutritional practices and balanced crop nutrition. We have seen that our farmers not only find that their yields and quality has improved, they also find that the physical and chemical properties of the soil saw an upward trend. Healthy crops are more resistant to pests and diseases and there is, therefore, a reduced spending and usage of agro-chemicals which is to the advantage of the farmer. Do you find the scope of precision agriculture as a remedy of organic and traditional farming approach? Precision farming is beginning to pick up in India. We are seeing a positive growth in the fertigation acreages in India – this is a very good sign. Water usage efficiency can be increased by using the fertigation system for the farmers as well as the society’s benefit. However, to increase food production and to meet the demands of the growing population, we would need to focus on increased precision farming. Western-Europe has a large landholding sizes and India is struggling with this issue, is it difficult to make policy decisions for India? India has nearly 110 million farming families. Hence the policies that are to be devised would certainly need to take into account the needs of especially the small holdings by the farmers. It is certainly a huge task for the policymakers to take decisions in such a situation. How was the experience with GST implementation? There were so many doubts among farmers. Inverted duty structure on finished fertilizers versus the raw materials leading to unused input tax credit. Do you think there is any need of getting more transparency in the distribution system of fertilisers in India? Will Yara be leveraging from make in India campaign to export in African nations or other export destinations? With 122 MN Ha of land under cultivation, Indian agriculture is actually the biggest Make in India project. We hope to work closely with the Indian farmers and help increase India’s market share in agri-exports in the coming years. We want to act as enablers of the Prime Minister Narendra Modi’s dream of not only doubling farmer’s incomes by 2022 but also bringing value to the farming produce by making India an exporting nation of agriculture products.